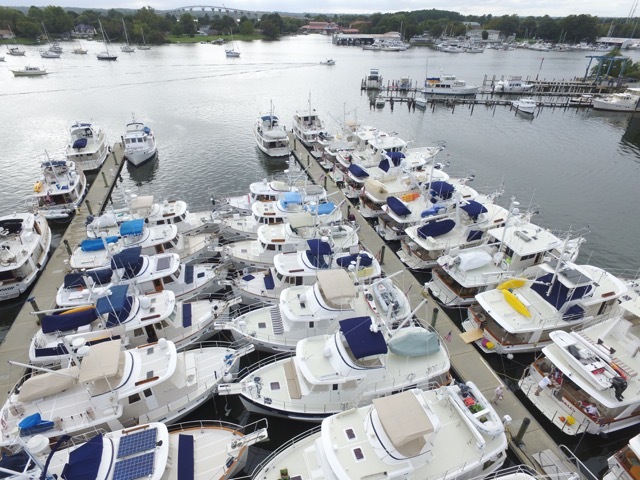 The fall boating season is rapidly approaching. 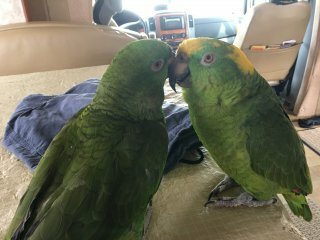 Before heading back aboard Idyll Time we make one last trip in the RV to attend the 27th annual Krogen Rendezvous which is held each year in Solomons Maryland (more on this later). 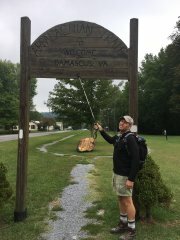 We decide to break up the trip with a stop in Damascus, VA. Damascus has been on our bucket list for some time as both the Appalachian Trail and the Virginia Creeper Bike trail pass right through the heart of the small town. 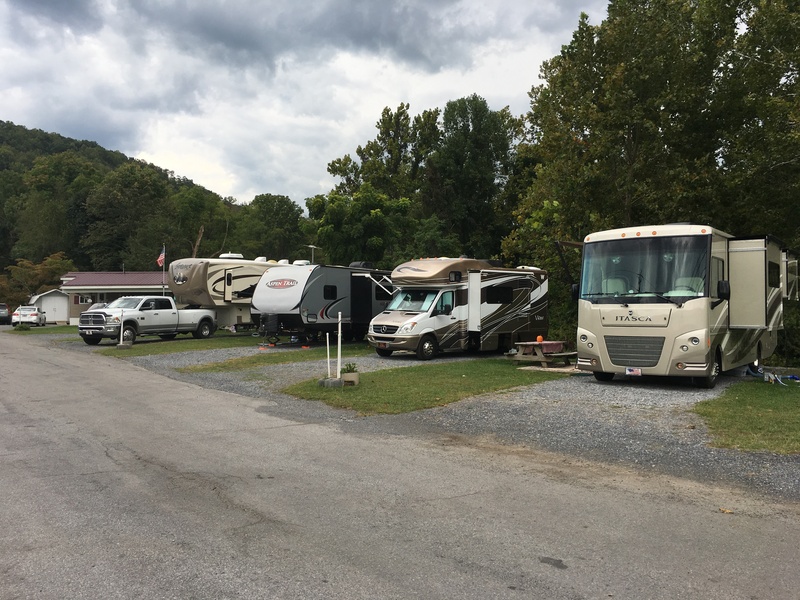 The Creek Side RV Park is a family run 8 site campground right on Main Street and our home for the next three nights. The Damascus economy is driven by backpackers and cyclists. There are three hiking outfitters and four bike rental stores spread out along Main Street. 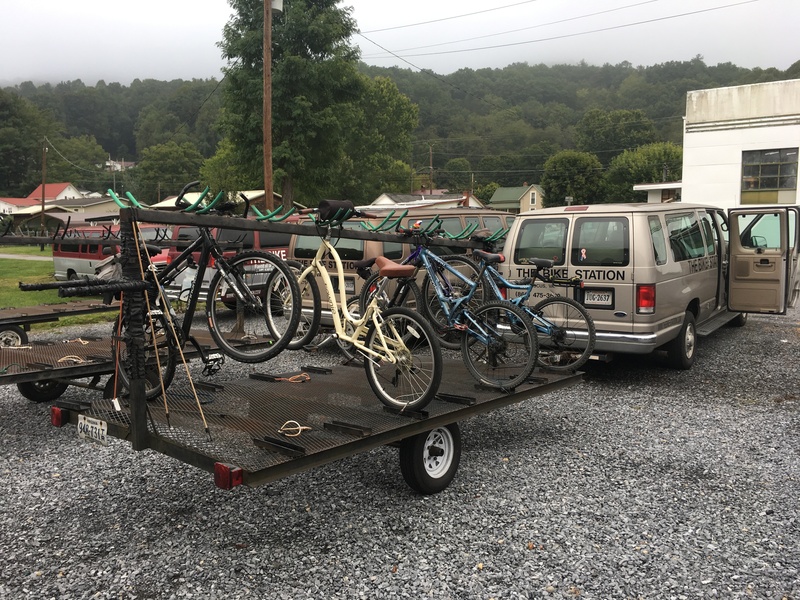 The bike stores have a thriving business of both bike rentals and shuttle services along the Creeper trail. This former rail bed got its name from steam engines laboring up the mountain grades carrying heavy loads of lumber, iron ore, and other supplies. This 34 mile bike trail is now used by thousands of people each year. The trail starts in Abingdon,VA and terminates atop Whitetop Mtn. Damascus is located at the half way point. 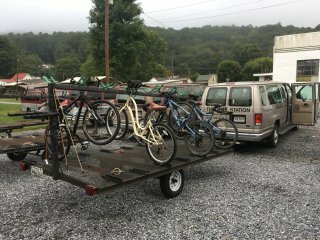 The majority of shuttle trips take cyclists up Whitetop Mtn. where they then begin a 17 mile downhill coast back to Damascus. Not knowing how steep the mountain climb would be, we too opted for this option. It was a easy but beautiful glide down the gravel roadbed through the hardwood forest and mountain valleys as we followed the river stream back to Damascus. 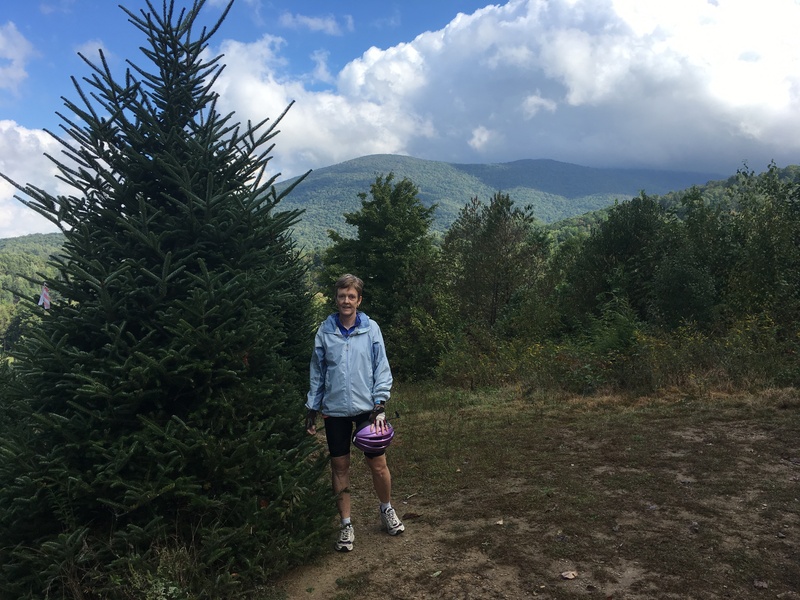 The next day, we biked the remaining Creeper Trail to Abingdon and back for a total of 34 miles. From Damascus we continue through the mountains of western Virginia to Grayson Highlands State Park. The park is at 6500 feet and the views along these highlands are truly extraordinary. Being above the tree line, we can see for miles in all directions from these mountain balds. 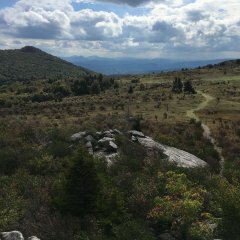 The Appalachian Trail winds its way through this area and crosses the park boundary several times. 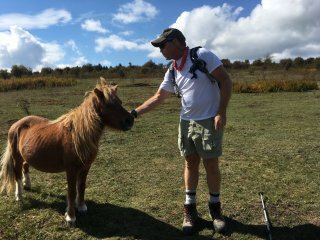 We hike part of the AT in search of the wild ponies that call this area home. We spot one group of ponies while hiking along the Rhododendron Trail. As soon as Jeff opens his pack to get some snacks, one pony comes running over. They certainly are not afraid of humans but can not be trusted as they will bite and kick. There are around 100 adult ponies roaming the highlands. 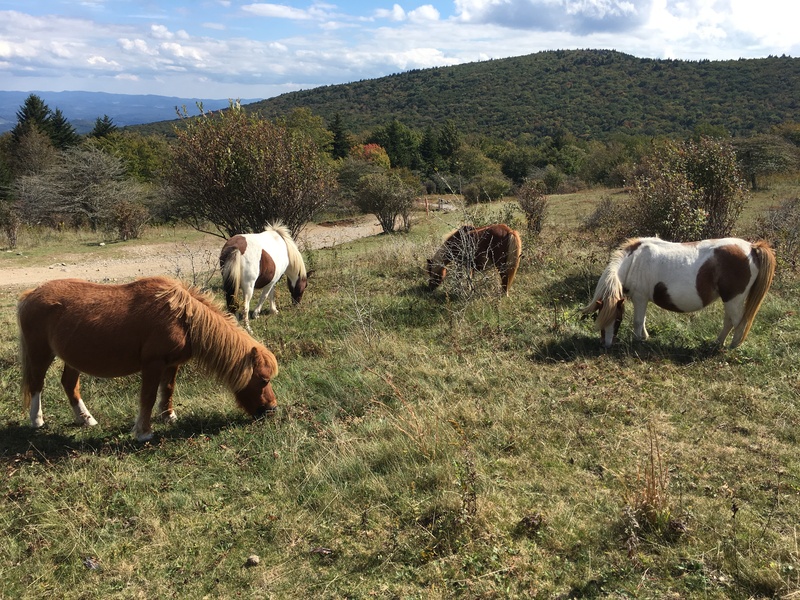 They live in herds of 10 to 20 ponies with one stallion per herd. They are descendants of once domesticated livestock belonging to a horse breeder named Bill Pugh. In the 1950′s he began breeding a horse called “Virginia Highlander” that was small in stature and suited for the mountainous terrain. Each year the ponies are rounded up and given annual vaccinations and some of the young males are culled for auction. Due to the track of hurricane Matthew, we cut our stay short and continued east to Solomons,MD. Calvert Marina is the home for the Krogen Rendezvous each year. 25 Krogen boats are already nestled together along the docks when we arrive. Plans are in a bit of chaos at this point and the Rendezvous is in question as the hurricane is forecast to hit this area later in the week. 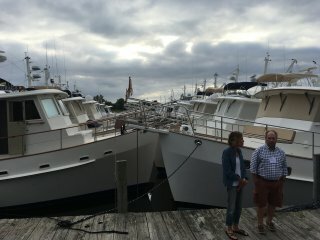 Most of the boats have already scheduled haul outs for the storm. Twenty four hours later things calm down as the forecasted track now takes hurricane Mathew along the southeast coast before turning out to sea near Hatteras. The decision is made to continue with the Rendezvous as scheduled. 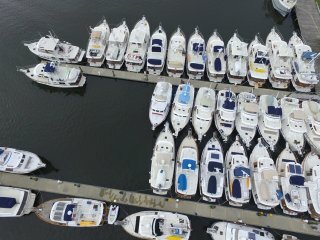 As a precaution, all the boats are undocked and rearranged based on their haul out schedule if the storm tracks this way. This is no easy feat as the boats are med moored to the dock and rafted together with the bow of the boats overlapping from the two docks. 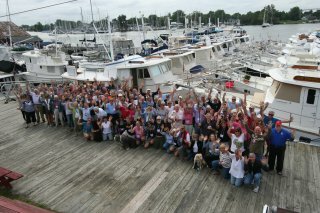 We end up with 34 boats and 134 people. Due to the weather 14 boats decided to cancel as well as several guests lecturers. 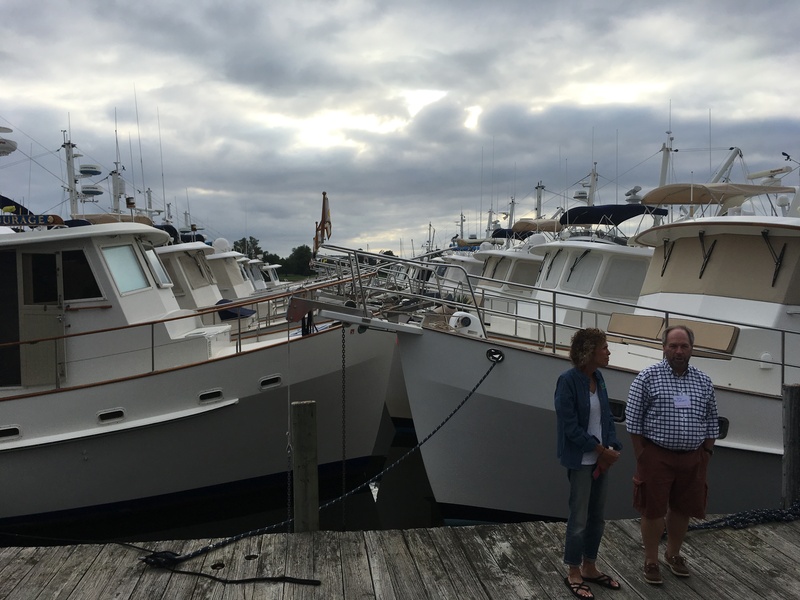 This four day annual event hosted by the Krogen Cruisers Association is a chance for fellow Krogen owners to reconnect with each other while attending seminars, boat crawls, and scrumptious meals. Everything goes smoothly with perfect weather until the last day when the remnants of the hurricane send rain showers to the area. 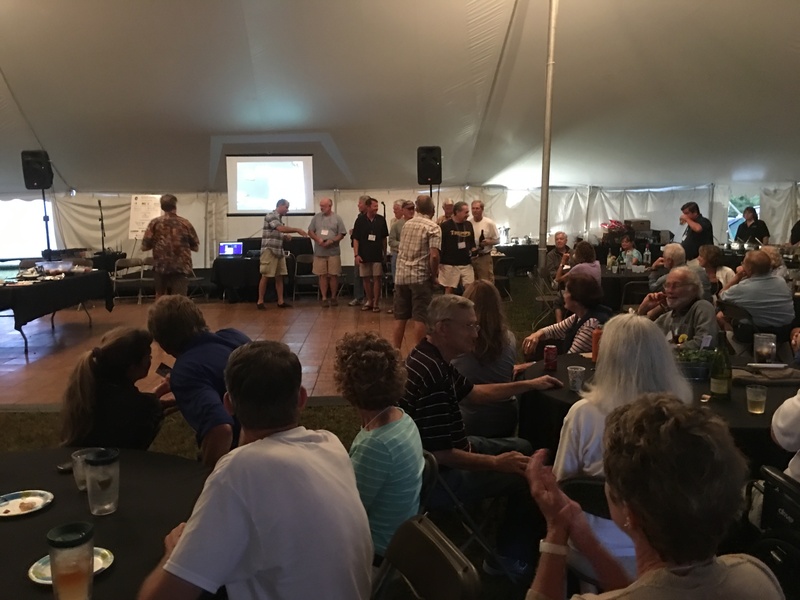 Spirits were not dampened however, and everyone enjoyed a last meal together of steak and lobster with live music and dancing well into the night. When we purchased our Krogen 10 years ago, several owners welcomed us into the “Krogen Family”. At the time we did not fully understand the extent of this fellowship. We have made many good long term friendships and traveling companions over these years. As we say our goodbyes it is with a touch of sadness. Due to our new cruising plans (more on that in the next post), it may be several years before we attend this Rendezvous again. The Krogen Cruisers truly are part of our family. Now it is time for the crew to head back aboard Idyll Time and start our southern migration. This entry was posted on October 13, 2016 at 4:21 pm. You can follow any responses to this entry through the RSS 2.0 feed. You can leave a response, or trackback from your own site.